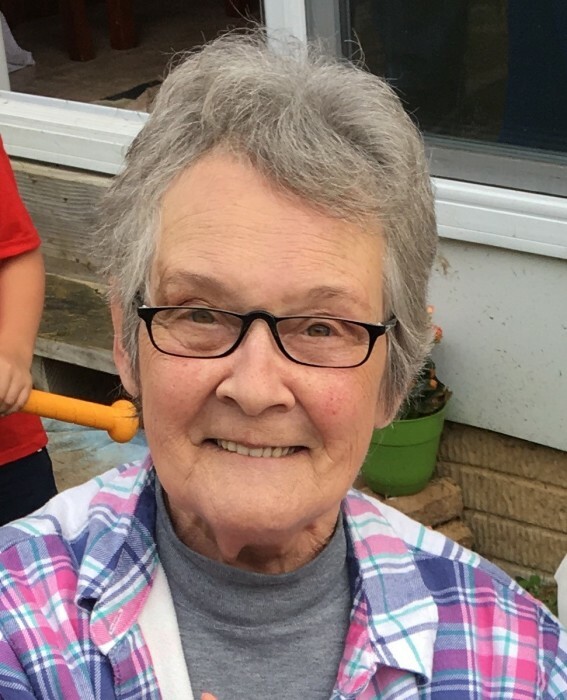 Obituary Notice for Joyce Ann (Stambaugh) Stitely | Pepper Funeral Homes & Cremation Facility, Inc.
Joyce Ann (Stambaugh) Stitely, 77, of Arnot, PA, formerly of Union Bridge, MD, passed away Monday, May 21, 2018 at home while surrounded by loved ones. Joyce Ann was born August 29, 1940 in Gettysburg, PA, one of 11 children of the late Samuel and Ida (Long) Stambaugh. On June 6, 1959, she married LeRoy Stitely at St. Lukes Lutheran Church in New Windsor, MD. They shared nearly 45 years together before his passing on Apr. 22, 2004. Times shared with family were most important in Joyce Ann’s life. Her favorite hobbies included crocheting and gardening. In later years, she also enjoyed working at Walmart. Surviving are her children; Terri Sandstrom and Tony Stitely (Amanda LeLong) all of Arnot, Teresa Stitely of Westminster, Tabutha (Marty) Norwood of Manchester and Tina (Bob) Meredith of Union Bridge, 11 grandchildren, 10 great grandchildren, four brothers; Sterling, Rodney, Richard and Bill Stambaugh, several nieces, nephews and cousins. In addition to her husband LeRoy, she was predeceased by a granddaughter, Melissa Sandstrom, siblings; Betty Garber, Violet Smith, Carlene Buffington, an infant girl Dolly, Virgil Lee and Harold Stambaugh. Visitation is from 2 – 4 P.M. and 6 – 8 P.M. Thursday, May 24, at Hartzler Funeral Home, 6 E. Broadway in Union Bridge. There will be no funeral service. Burial will be held Friday at 2 P.M. in Creagerstown Lutheran Cemetery. In lieu of flowers, consider memorials to St. Luke’s Lutheran Church c/o P. Bassler, 1401 New Windsor Rd. New Windsor, MD 21776 or to Alzheimer’s Assoc. of NE PA, 57 N. Franklin St. Wilkes-Barre, PA 18701. Pepper Funeral Home & Cremation Facility Blossburg Chapel, 314 Granger St. is in care of local arrangements.